Alberta cowboy John Ware, Vancouver icons Joe Fortes and Harry Jerome, jazz pianist Oscar Peterson, and many more. Watch for this special feature. For the last 25 years, the GLOBE Series has been at the forefront of new ideas and vital insights on business and sustainability. We have helped corporations embed sustainability into their operations, influenced the global debate on climate change, and accelerated the market for clean technologies and services. Over the next quarter century, more than three billion new middle-class consumers will place unprecedented stresses on the planet�s available resources. Nothing less than a revolution in our thinking will be required to provide the quality of life people will demand while protecting our increasingly vulnerable natural environment. Join us at GLOBE 2014 as we explore how businesses can build resilience and thrive in a rapidly evolving marketplace. The GLOBE 2014 Conference will provide provocative insights on the world�s most pressing energy and sustainability-related issues. Find out how you and your organization can be best positioned in order to survive, succeed, and lead, both now and over the coming decade. The GLOBE 2014 Trade Fair will feature leading-edge products, technologies, and services, corporate showcases, and international pavilions highlighting the very best solutions to the world�s environmental challenges in three critical areas: Energy, Green Building & Sustainable Cities, and Water. Africa Travel Magazine Editors and Broadcast Team will cover the World's Biggest Enviro-Business Expo, Vancouver, BC, Canada for the 10th year! Vancouver, Canada � As one of the youngest and fastest growing segments in North America, Aboriginal businesses and entrepreneurs are poised to play a crucial role in international economic growth over the next decade. Today more than ever, forging resource development agreements that reflect Aboriginal interests is a business imperative � not just an option. In a dynamic new session aimed at expanding these partnerships, GLOBE 2014 will offer insights and strategies for harnessing the mutually inclusive �Aboriginal Advantage�. The biennial conference series returns to Vancouver, Canada from March 26-28, 2014. Hundreds of billions of dollars of commercial land-based and resource development projects have already been identified in close proximity to Aboriginal communities. But securing the social license to operate in areas where Aboriginal interests exist necessitates going far beyond regulatory and legal requirements. It not only requires a totally different engagement approach, but a fundamental rethink about doing business with Aboriginals. �GLOBE attendees will have the opportunity to engage with those key players involved in this new reality, who can share insights and practical strategies for unlocking the potential of electricity, mining, pipeline, forest products and transmission ventures,� says Wiebe. At the forefront of these sessions will also be a discussion of the nation-building opportunities inherent in recognizing Aboriginal Power, both as it relates to energy generation opportunities on Aboriginal lands, as well as in so far as it relates to the growing power of First Nation, Metis, and Inuit leaders in corporate boardrooms. As the world�s largest and longest-running conference series dedicated to the business of the environment, GLOBE 2014 will boast an impressive lineup of conference speakers, including globally-recognized thought leaders and environmental business experts. The prestigious biennial event will also welcome more than 400 exhibitors from North America, Latin America, Europe, the Middle East and Asia to its world-renowned Trade Fair, where they will showcase the latest in green, clean technologies, innovations, and services. For more information, visit www.GLOBESeries.com. 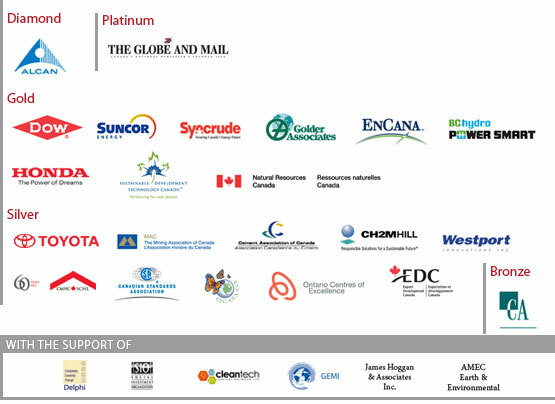 GLOBE 2014 is produced by the GLOBE Group of Companies, a conglomerate of privately-held companies dedicated to the business of the environment. GLOBE�s expertise lies in project management, event development, and management and consulting in the fields of environment and energy, urban development, and corporate responsibility. Comprised of the GLOBE Foundation, GLOBE Events Ltd., GLOBE Advisors Ltd., GLOBE Communications Ltd., GLOBE Ventures Ltd., Sustainable Events Ltd., Sustainable Media Group LLC, GLOBE Performance Solutions Ltd., and the Green Table Network, the GLOBE Group is North America�s longest operating producer of environmental events.